How Much Mouthwash Should I Be Using? This is a great question – one that definitely needs answering since it can make a great difference in the quality of your oral care routine. You probably know that you should brush your teeth after every meal whenever possible, or at the very least, two or three times a day. Flossing is probably also on the top of your list, making it into every week if not every day. However, if you are like many people, you probably only use your mouthwash before important events like dates and job interviews. What does mouthwash do beyond giving me fresh breath? You might also use mouthwash whenever you have bad breath (halitosis), or after you’ve just eaten some spicy food with onions or garlic in it. However, mouthwash does more than simply give you fresh breath. 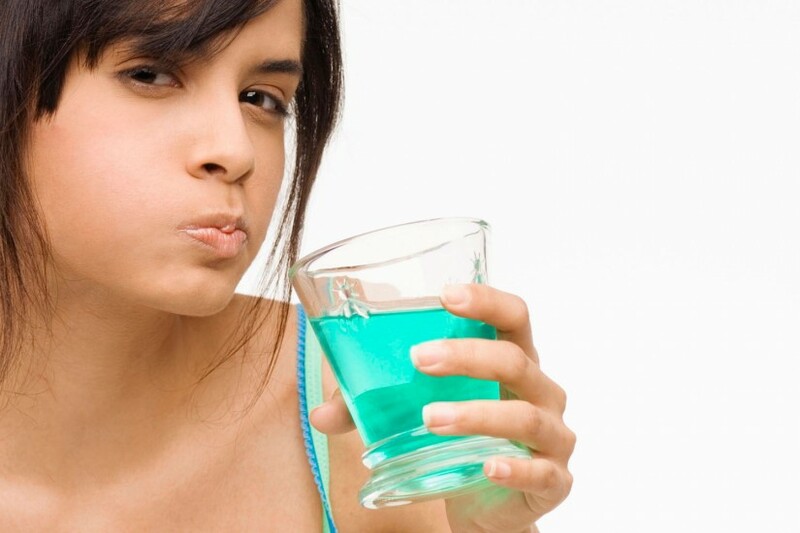 Mouthwash reaches in between the teeth to kill germs. It can even get below the gum line to kill bacteria. Whether you know it’s there or not, the bacteria hiding in between your teeth and under the gums can lead to periodontal disease, a dangerous condition that can weaken the gums enough to make your teeth fall out. This is why it is so important to use mouthwash and to use it properly. How should I use mouthwash? You should pour approximately 20 ml of mouthwash to use. This is the same as 2/3 of one fluid ounce or about four teaspoons. Most brands of mouthwash recommend that you use the product twice in a 24-hour period after first brushing your teeth. It’s important to swish the mouthwash around for about 30 seconds so that it can reach all areas of the mouth, including all of your teeth, the gums, the roof of the mouth, and the tongue. This is the best way to kill germs in hard-to-reach places like in between the teeth and beneath the gum line. At what age can my child use mouthwash? Children under the age of 12 shouldn ’t use mouthwash. If their gums are swollen or red and you suspect a problem, a visit to the dentist is more important. Children shouldn’t need mouthwash to clear up oral hygiene problems, and if they do, you might want to look into better brushing and flossing habits.